Our Tasting Room will be open the usual days and hours Thanksgiving Weekend, Friday through Sunday, noon to 5pm. 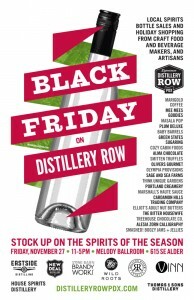 And, on Friday November 27, we will be at Black Friday on Distillery Row with 7 other Distillery Row distilleries and several of Portland’s most unique food, beverage, and crafts artisans at The Melody Ballroom 11am to 5pm. The event is FREE! The Melody Ballroom is located at 615 SE Alder St. Portland. Join us for a madcap literary adventure with the inaugural Lit Crawl Portland on the night of Saturday, November 7 after Wordstock. Lit Crawl Portland is a collaboration between Literary Arts Presents Wordstock: Portland’s Book Festival and the Litquake Foundation. Full schedule of ‪#‎LitCrawlPDX programs on the Literary Arts website! Locations, times, and authors. FORGED IN THE FIRES OF HELL at Rolling River Spirits, Saturday, November 7th, from 7:30pm – 9:15pm. Anvil Press and University of Hell Press team up for an exclusive event as part of Lit Crawl Portland, immediately following Wordstock on Here’s our program. 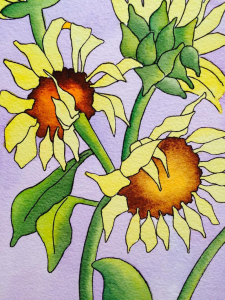 Debbie Marvin’s paintings will be shown in the Rolling River Spirits tasting room gallery from November 6 through November 29th. Join us Friday, November 6 from 5:00 to 7:30 pm for First Friday – Portland’s Eastside Artwalk artist reception. My name is Debbie Marvin and I was born and raised in the Northwest. I am a painter, a pianist and a writer. As a child, I did a lot of drawings but did not start dabbling in paints until I was in my early 30’s. My favorite mediums are watercolor and acrylic. I am a self-taught artist that firmly believes everyone has artistic talent within them. I am drawn to color and specifically am attracted to the unique beauty and variety of colors nature provides us with flowers. Botanicals have been my theme for the last year or more, though I also enjoy painting landscapes and ocean scenery. Join us this Friday, November 6 from 5:00 to 7:30 pm for First Friday – Portland’s Eastside Artwalk. 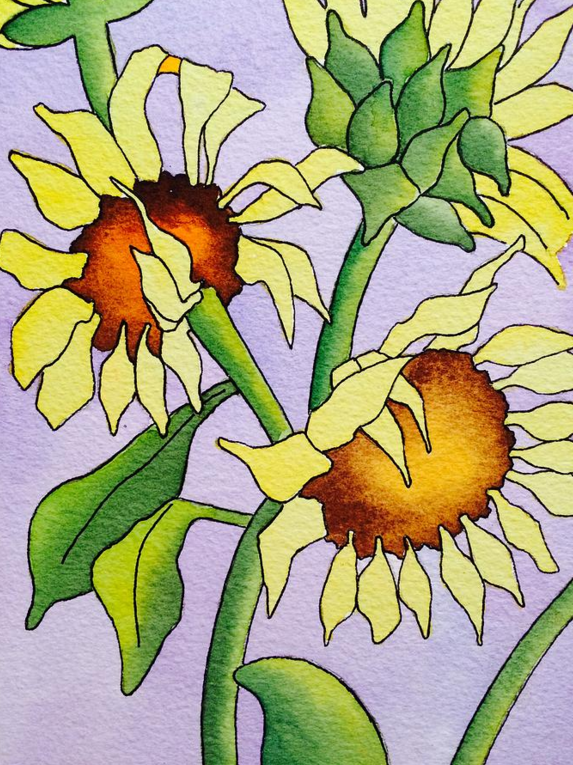 Debbie Marvin is our Featured Artist for November. Rolling River Spirits is located at 1215 SE 8th Ave. Suite H.